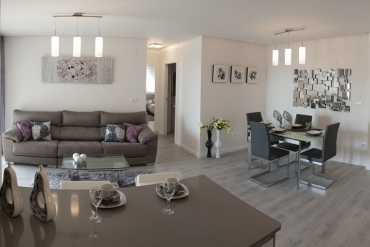 You are still in time to discover the qualities offered by the Costa Blanca South. If you are willing to share your experiences with your family, our estate agents in La Zenia - Costa Blanca offer you some dream properties for sale. 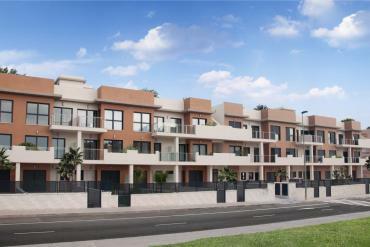 La Zenia is an urban complex that belongs to Orihuela Costa. We have properties for a large part of this area of the province of Alicante. In Orihuela Costa, tourists enjoy several qualities, which cause that later, many of them decide to buy a home here. Orihuela Costa offers fabulous weather. A warm climate that allows you to live both in winter and summer, under incredible temperatures. If you are looking for a city where good weather is the star of each day, Orihuela Costa and La Zenia are your destination. What else does Orihuela Costa offer to trust the properties sold by our estate agents in La Zenia - Costa Blanca? In addition to offering you a destination with spectacular weather, our estate agents in La Zenia - Costa Blanca will provide you with incredible properties, new construction or resale, with all kinds of luxury detralles. You can buy bungalows, apartments, villas, townhouses, etc. and choose among them, the one that best meets your needs. What do you need or want a property with own pool for your children to enjoy, because our agents provide it. That you would like to be able to live in a house with beautiful views of the coast, our real estate has those types of property. That you want to buy a property that is a few meters from the beach, more of the same. Casas Espania satisfies your goals. As you can see, there are many doors that we open to you so you can start enjoying your holidays or your retirement. We are ready for you to increase the quality of life. Trust us. Would you like to contact our estate agents in La Zenia - Costa Blanca? If you want Casas Espania to start offering you all the possibilities to enjoy the Costa Blanca, you can get in touch with our estate agents in La Zenia - Costa Blanca. On the one hand, you can know the facilities of our Orihuela Costa office, located at Calle Maestro Torralba 4b, Zenia Golf II Shopping Center, La Zenia 03189, Orihuela Costa. On the other hand, you can contact our qualified employees to discuss any questions or receive more information, by calling 0034 965 083 434 or sending an email to info@casasespania.com.